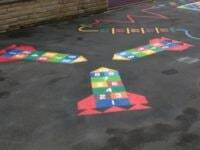 Our team installed a number of playground games and sports court markings as suggested in the architects original designs. 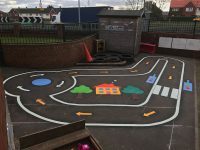 However once the children began to use the playground the designs were such a success that Headteacher Jacqueline Steele saw an opportunity, there was still plenty of bare tarmac so adding some more playground games would benefit the children both educationally and physically. 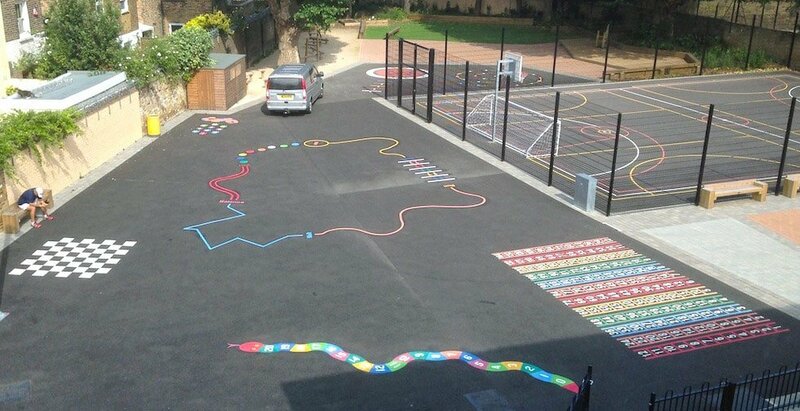 The team from first4playgrounds returned to London and install a number of additional playground markings into the bare tarmac areas including an Activity Trail, 1-20 Alphabet Snake, 1-10 Dinosaur and an Alphabet Spiral. 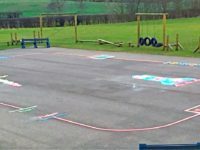 Once the project was complete the team at Ark Priory Primary were really pleased with the additional playground games as well as the prompt and efficient installation work carried out by first4playgrounds. 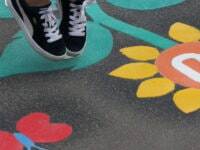 The school’s caretaker was so impressed he told our team that he’d already contacted a number of his colleagues in neighboring schools recommending first4playgrounds for playground markings.